You do odd things to get even. I don’t know about you. But, that is me. Especially when turbulence hits the soul. This time it’s not been very different. Most parts of the last few weeks have been whisked away by the desire to latch on to every memory. Perhaps a quest to seek new meaning, draw lines in the mind to what seemed to be faint dots faded by time and the vagaries that ‘gainful employment’ has brought over years. So, I went looking for places that my feet aimlessly shuffled around while locks of hair bounded the forehead of my wonder years! Hopeful of catching the smell, feel and sights of a time that seemed distant yet close. A time that often looks like its within arm’s reach of clear recollection and then slips away almost like a mirage that chooses to go into hiding upon seeing me. My journeys took me to the small village where we spent many summers challenging the Sun to beat us down with his rays, while we soaked much of the open air, green fields, braying donkeys, cows, goats and of course the languorous rhythms of easy village life. It then took me to the club that I hung out with classmates. The courts where I played tennis in. The roads that I took my walks on. The small shops that sold silly candies. The bungalows that held allure. The College that was privy to adolescent dreams, hopes and expansive aspiration. It wasn’t a well orchestrated journey of sorts. Three quarters lead by happenstance and the meager rest by careful plotting. Most of the times carelessly retracing steps, upon a whim, on a road that brought alive last remnants of a clinging memory. Of a glance exchanged. A smile passed around. A word uttered. Sentences not spoken and conversations that spanned the world. In sheer gluttony of consuming far more than what the present had to offer and in the ever expanding search to relive a memory, occasionally I reached out To DO the things that I did when it was “in those days”. 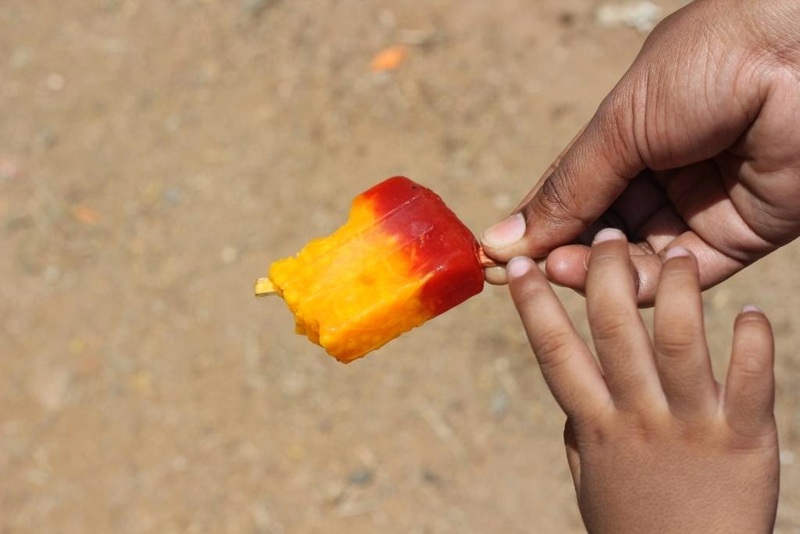 No memory of growing up in those times in the intense climes of Madurai, can be complete without memories of what continues to be called ‘Paal ice’ ( Milk Ice). Proffered usually by a man with a hoarse rhythmic voice that arrested your attention no matter what you were doing. It caused you to run to your dad, mom, grandma, uncles or whoever that would be around and usually willing to spend a grand sum of one full rupee on you. I saw the “Ice man” again. A couple of weeks ago. Another grand sum of Rs.5/- left the wallet, even as the ice creams disappeared from the flimsy sticks that’s held them. Not a word spoken about hygiene or if it was made from ‘mineral water’ or some such urbane stuff. For it wasn’t quenching taste buds. It was satiating a part of me that was parched beyond parched. As the ice cream went down the throat, a million memories were resurrected, rejoicing a thirsty mind and a thrifty soul. The “ice man” moved on. After being bemused by us, for a bit. Tapping the box to announce his arrival in the neighbourhood and supplementing it with his arresting coarse voice. I clicked a few more snaps vigorously. In the future, if I needed a pass to the past, this was it. The roads of India keep telling you stories. Stories that are tall. Not tall stories. Small items, objects and articles, that would not merit a cursory second glance from an average citizen anywhere else in the world, are put to such use, that arching eyebrows of designers and makers of such stuff can stay permanently bent with that arch! To many regular readers this would fall a familiar repetitive rapture of this blog. But hey, what the heck. What is to be celebrated, must be. Wouldn’t you agree ? There is a world out there that is examining the omissions and commissions of everybody else. The government. The President. The peons. The cricketer. The blogger. The neighbour. The antics of the ant getting another loud rant is commonplace. Every one of them has been examined. Some with magnifying glasses, others with telescopes and all with all with a ubiquitous megaphone! Lets halt right there. And lets talk of the moped ! A moped is a “low powered motorcycle’. So saysWikipedia. In an earlier generation, if you had the good fortune of riding one, let alone owning one, you would go after Wikipedia with a toilet broom for such a derogatory description. The moped to boys in school, back then, was freedom personified. You didn’t require a driving license. 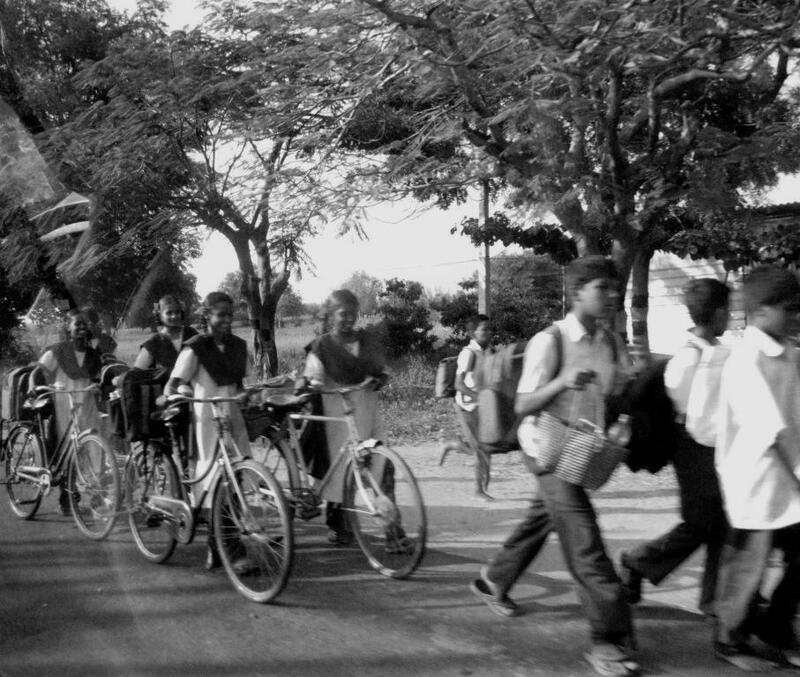 Your school was still not sure if they wanted to call it a bicycle or a motorbike. And you had power between your adolescent legs. I mean..you know what I mean. So what, if it was only 50 horse power? Ofcourse, we will not venture into describing some eager beavers sticking ‘BMW’ stickers and logos on to such agile spacecrafts. BTW, Spacecrafts is a legit name. It was a world bereft of social media and mobile camera phones and BMW never got to know this. A ton of German drones would have come after us with micro millimeter precision, if only they saw BMW plastered with pride on the broken silencer ! 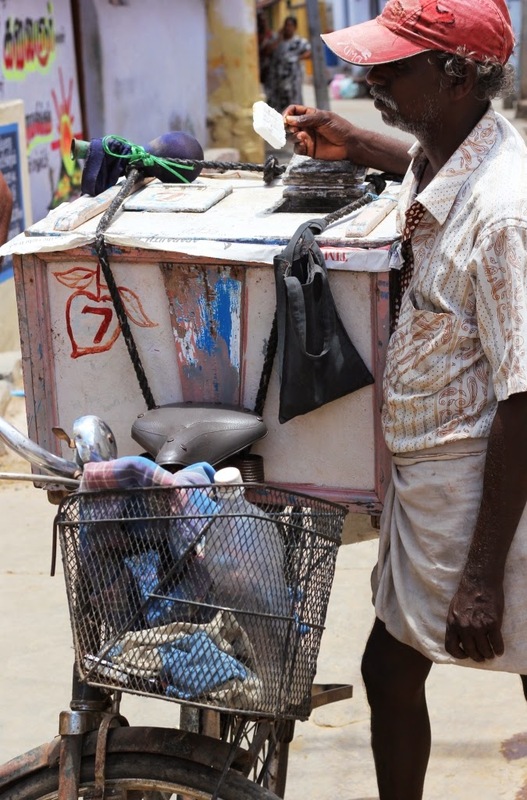 “Low powered motorcycle” is an achingly insane and insensitive way of telling the truth. A lame truth. You had to climb on to the pedal and give it half the yank of a full circle for the engine to kick into life. For the next several minutes life would be in an in exhilarating fast lane at speeds that would climb all the way to 50 KMPh at full throttle. As you grow older you tend to outgrow these machines. The loose adolescent skin gets some muscle beneath. Yet the memories stay. The mopeds have themselves morphed into becoming important lifelines for several segments of the population. 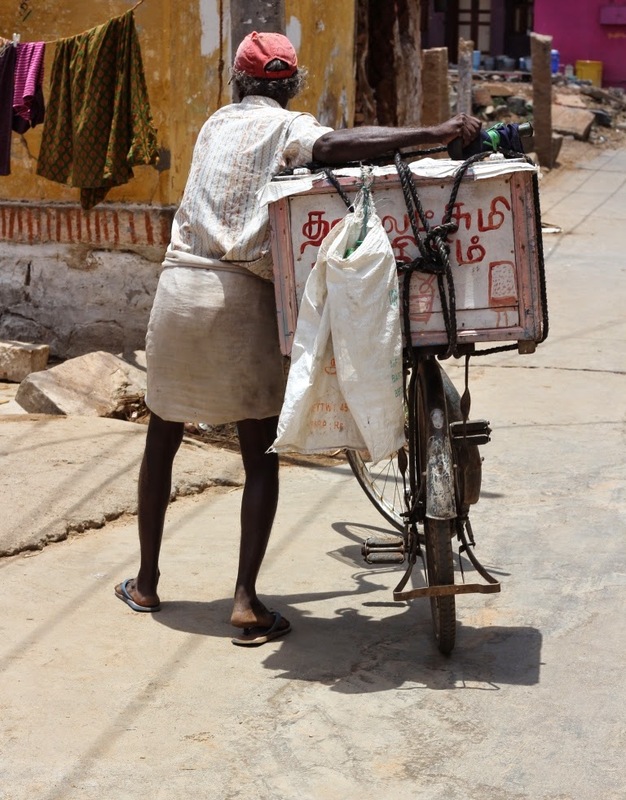 Like the mom & pop stores and their ‘delivery boys’. 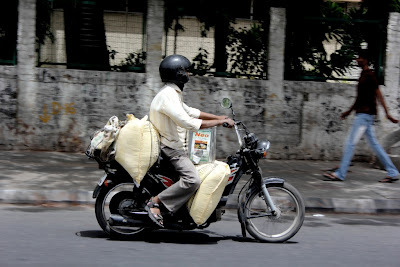 A moped with its strategic space in the front of the seat, is just what the doctor ordered for carrying bags of rice and a paraphernalia of goods that can feed a family for times to come. Or so it would seem. But for some silly nostalgic blokes like me, these are spacecrafts of sorts. That transport you to wonder years that never fail to to elicit an escaping sigh. Every time you think of them. The group that I run with is upto some crazy stuff. Just a shade short of ‘filmy stunts’, several runners have taken to, hold your breath, barefoot running. 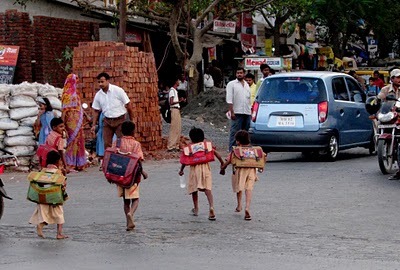 On the streets of Mumbai ! Life is not a bed of roses. Life in Mumbai is definitely not. Running barefoot will get you to deal with the fact that roads are not even a bed of tar. Forget roses! 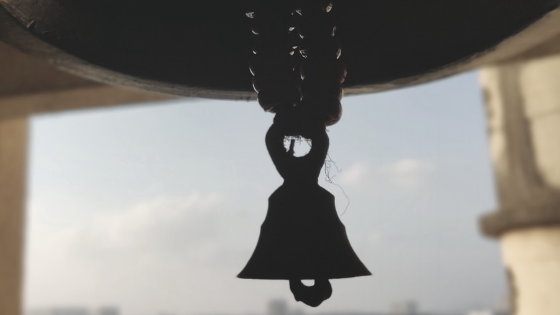 Yet, chanting the name of long term health of the knee, getting ‘closer to nature’ and better running posture, they are pounding the pavements of Powai with bare skin of their feet. Feet that are used to sophisticated shoes. Yes. Sophisticated is the word. ‘If they could do it, I could too’. I told myself in one of those half-assed-belligerent moments that’s usually devoid of reason. And I decided to venture out too. But no. Not the whole hog. A stepping stone to eventually running barefoot, they said, was to run in ‘Canvas shoes’ I was told. You remember these shoes, don’t you ? The stuff that you wore for PT classes and something called ‘mass drill’! The mass drill that seemed such a extravagantly pointless exercise and fun filled day : ‘Sports Day’! Yes, the same ‘Mass Drill’ that came nowhere close to a ‘sport’ on ‘Sports day’! Of course, you had to be a sport in taking the effortless affront to ‘synchronous movement’ that was perpetuated in the name of ‘mass drill’, in your stride. I, as regular readers are aware, am a perpetual sucker for nostalgia, diving into the past at the slightest whiff of an opportunity. Sitting in the shoe store and caressing the coarse canvas shoe was no slight whiff. It was a tornado of sorts! Before you could say four-five words like ‘The- Prime Minister-needs-to-speak’, (or any other four five words for that matter) full chronicles from the past years of starting off with the canvas shoe, were relived in my mind! 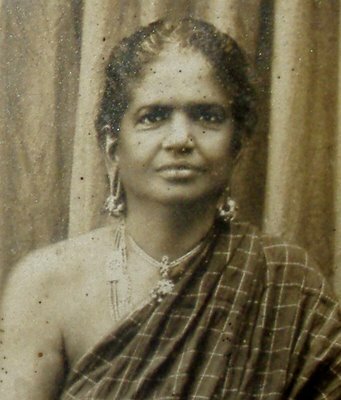 Many images from the past did many more sorties in the mind. Images of the ‘mass drills’ were just one genre. The ‘March Past’ was another wonderful display of how earnest kids supervised by strict ‘PT masters’ (as they were called), could swing their arms and legs in such a belligerent spectrum of directions, very rarely in synchrony! Sports day itself was a delight of a day. Other than the mass drill and the march past, there were Olympic stature events like ‘lemon & spoon race’ where the ‘gold medal’ would go to the bloke who would balance a lemon on a spoon, with his teeth and run a distance of ten meters. Or thereabouts. If that didn’t excite some, there were other ‘games’ like ‘Sack http://healthsavy.com/product/priligy/ race’, ‘slow cycle race’, ‘ One leg hop’ and such else. (Now, these are not to be confused with similar games that go on in the present day corporate world). The ones at school were adorned with innocence and glorious charm. Oh yes victory in these events meant that the ‘houses’ that you were allotted to would get points. The ‘houses’ were named after colours and a ribbon of the same arresting colours ( Fluorescent green, or blue, orange or whatever. The essence was in ‘Fluorescent’.) would be tied to your hand. Just in case you wanted to jump ship to a group that held more allure (err… due to a variety of reasons). Alas we couldn’t ! Those scheming teachers! 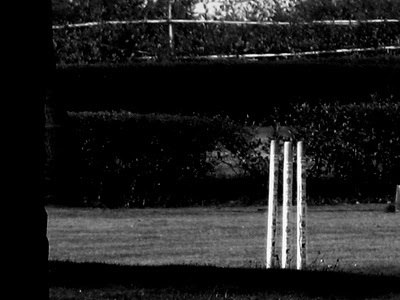 For several formative years the sport that occupied the mind was cricket. 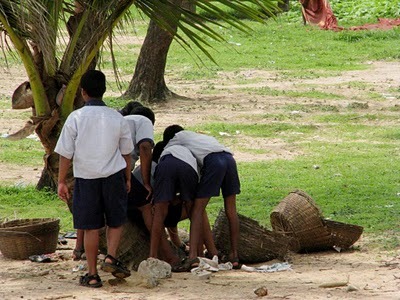 A sport that you could play with anything that resembled a bat, including a fallen branch of a coconut tree, with just a bit of appropriate chiseling! To play which, you couldnt care what you wore ! Anything was good! In a few years, as innocence faded, newer sport held interest. Basketball, Volleyball, Tennis. I graduated to these new sport and took to new special shoes that pester power at home, brought me. The good old coarse canvas shoes, in my mind, were for the sissies doing the sack race! So there ! So much for nostalgia ! Last week, I sat in this grand shoe store, in a brand new mall buying the good old canvas shoe. Running my hand over the coarseness of the canvas, i guess I was sitting there for a while! For it was the missus’s embarrassed nudging that brought me alive to the fact that the entire store staff had turned out to see the chap who was caressing the canvas shoe! Almost ! It was more than the attention that I had bargained for, and certainly more than the Rs.299/- I paid for these. I was surprised that Rs.299/- went the distance a long way! Especially, when it came to drawing the attention of an entire store! Since then, I have run once for 40 minutes in these shoes. I was left with a mega blister that ballooned ‘boulder size’ by evening that bristled with irritant pain for a couple of days. The blister will go. The blistering pace at which some memories returned, will linger for longer. 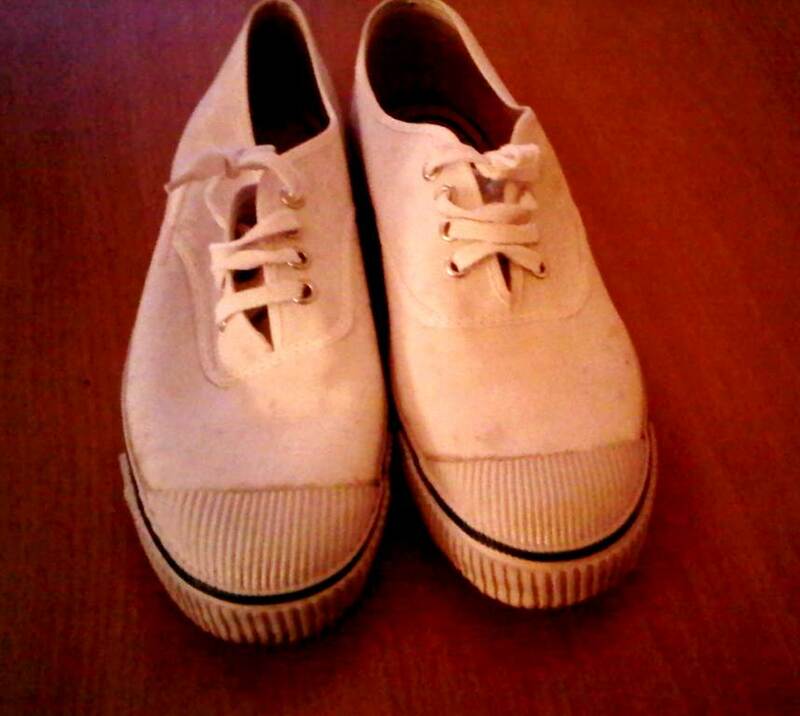 By the way, do you remember these shoes ? We were sitting next to each other in a meeting. May I request you to picture a corporate meeting in a fancy hotel. Fattening food. Fumbling thoughts. Supposedly full minds. The conversations can be about the Sun. And the moon. Sometimes beyond too. It is in one of those breaks, that I notice the pen in his pocket. Being a big sucker for fountain pens, I am curious. But before that, let me state the commonly known and do a super quick tracing back of the history of pens. Many moons ago there was an era when the fountain pens beat the wind out of the humble quill to become the default writing instrument. What the humble quill upstaged to become the preferred writing instrument, is a matter of conjecture to me. I would request some education from readers. In the name of ‘progress’ and such else came the ball point pen. A no mess ‘use and throw’ pen, which incidentally was banned in school for a large part of our growing up years. Ofcourse, no one threw away the pen. For that matter, in that time, no one threw away anything until they had put it to atleast five and a half different uses long after the main use that it was bought for was done. Which is a sidestory that we will sidestep for now. For most parts of my growing years if I pictured one grand battle over which the world would come to an end, it was the battle between the Fountain Pens and the Ball point pens. Quite obviously, I was on the side of the ball point pens. The reasoning was simple : All teachers used fountain pens. And ball point pens were banned for students! Many of you would empathise when I say, that I took to ball point pens with a relentless vengeance, when I took to working. So I thought the ball point pens had won that grand battle. Little did I think that there would soon come a time when writing per se was at risk of being obliterated by the keyboard. And just as the keyboard was rising a flag of victory over what appeared to be a new frontier, tablets and touch screen is stretching it even further. How long the ‘touch screen’ would last is left to anybodys guess. Or a lazy swipe of the index finger. Ah, pardon the detour. Getting back to the tea break, discarding propriety or whatever, I ask the gentleman, if I could see his pen. A trifle surprised, he hands it over. And says, ‘my dad gifted me this pen when I cleared my 8th standard exam’. After some pronounced flexing of the non-existant math muscle in the brain, I figured that was 32 years back! It was a Parker. It carried with it the distinct smell of several years of leaving imprints on notebooks, exam papers and many papers of significance. Not to forget empty artistic doodles in conferences perhaps. Ofcourse, within it resided some fresh blue ink, that distinctly held the smell of school. Quite obviously opening the floodgates of my memory and grand vision of that time, that the world would come to war over the mighty pen. I wonder how many kids of the present day world would grow to romance the fine art of writing with a fountain pen. Which is when the missus points out that writing in itself is at risk. Which is true. Romantic lover letters, I am told, have been replaced by abbreviated text. ‘Yours in ever lasting love’ or something to that effect has become ‘Lv’ in the text message driven writing of the modern times. Thank You has become TanQ or TY ! ‘Congratulations’ has become ‘Congo’. Happy Birthday is better written as ‘HBD’. Even the ‘Many many happy returns’ is elaborately written as ‘MMHR’ ! Will cursive writing still be taught in school or will using the index finger to lazily swipe on a glazed surface become the new and only norm? I am not sure if it will happen anytime soon. 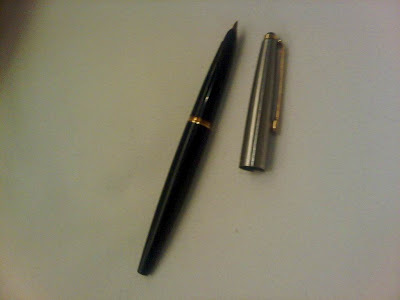 Until then, lets celebrate the likes of the gentleman who preserves and writes with a pen that’s 32 years old. Just because a father gave it to him. For sailing through class eight ! Such folks are at a different class. An endangered class. The fingers punching the keyboard punctuates the still early morning air. In a distance the the ‘plonk’ of newspapers being thrown a.k.a delivered at the doorstep is just about the only sound. In some time there are the others. Like the auto driver revving his engine. And the bus driver seeming to practice to race in Formula 1. All of them contribute to doing their two bit to the Mumbai air. The odd dog barks. And some birds chirp. Half heartedly. Half in fear, perhaps. Of some wisecrack setting off a Diwali cracker. At 5.30 in the morning, he has to be a wisecrack. Maybe something worse. The mind wanders to the smaller towns and quieter villages. Occasionally yearning. The sounds of small town mornings are getting to be mirror the big cities. However, the one sound that’s missed,that used to be so much a part of the wonder years, is the buzz around the ‘hand pump’. The pump still survives, and is very much in use. In many parts of the country. It goes by the name of ‘Adi-pump’ ( loosely translated to convey : ‘The pump that you have to hit’). People gathered around it, taking turns to pump that long straight handle, up and down. Out would flow water. Well, water was the obvious reason. Yet, the buzz about the pump was unmistakable. For it was the point of convergence. Of men. Women. Children. Worries. Desires. Jealousies. Love. And all that went within the whorls of the human brain. Everything was on display. Something like the military showing off its ware at a Republic Day parade. The hand pump being a completely unrehearsed natural event ! Exchanged glances, the extra puffed chest, the ‘help’ of pumping an extra pot-full for the girl. The wail of the complaining wife. The empty boast of the loud husband. Family economics. National economics. Politics. Movies. The shrill cry of laughter. The sharp spank. Drunk men. Loud women. Washing. The quiet ones. The shy ones. The cleanliness freaks. Gossip. Teasing. Preaching. Repartees. Kindness. Despair. Bonding. Several strands of society converging. All pumping. When their turn came. It used to be magical. Almost as though, the buzz was in the water that came out. 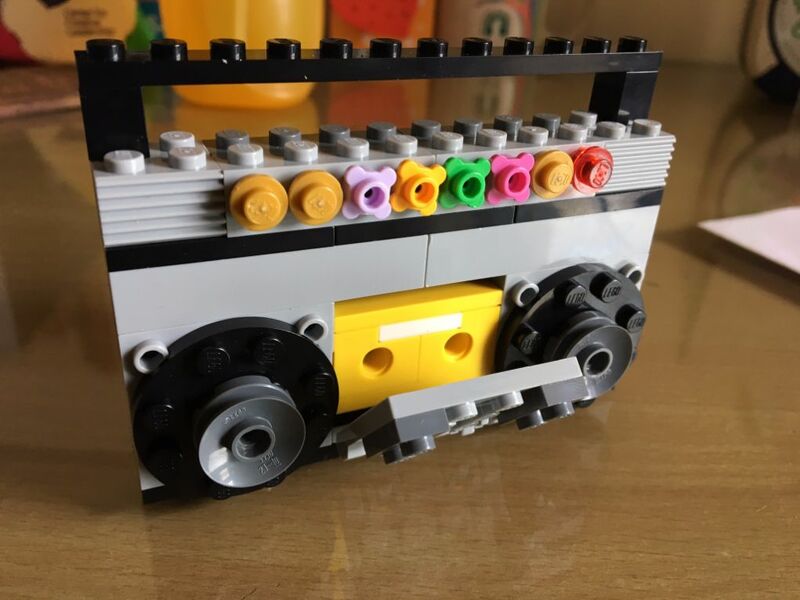 And so, the metal clang used to be the wake up call. An interesting wake up call. The house needed the water. But more importantly, the local news came through the hand pump ! 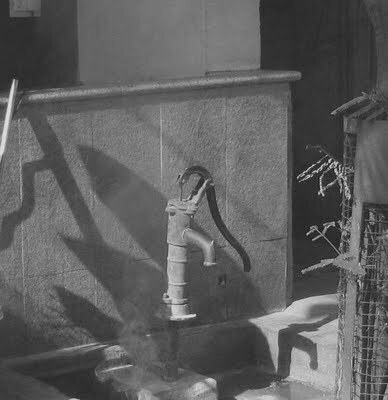 Some years earlier, the hand pump having an artistic arched handle was more common. Like this. That’s the journey. It seems. First things are straightened out. And then, they are replaced. These days, there is electricity. Motor pumps. And a battalion to keep the arm at the end of the hand, from going beyond making the odd noise at the keyboard. 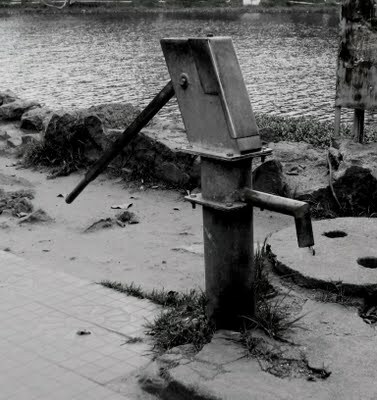 Perhaps its time to try the hand pump ! Oh yes. The water. That’s a bonus. Wonder what image comes to your mind, the moment you hear ‘cop’ ! 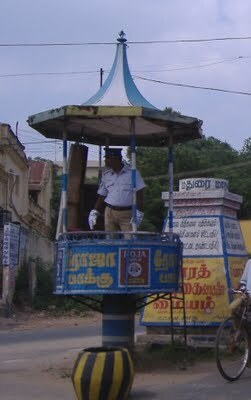 To a small towner like me, this elevated perch of the local traffic constable in Madurai is permanently etched in memory. He had to climb a ladder to get to his post. And there he stood. Majestic. With his khaki trousers and white shirt. The metal buttons seeming to be just about successful in holding back a pot belly from falling apart. Yet, tall. Majestic. And the wave of the white gloves that had the power to stop anyone on his or her tracks. Not that the tracks themselves had wheels that would set the road on fire. But that’s a different story. At other times, he held a round metal object ensconced in those gloves. That almost gave them a God like visage. Written on it, in bright red : ‘STOP’ ! That blue and white perch, with a funny pointed top, designed with the ostensible reason of protecting him from the sun and the rain, offered a sight of opulence and raw power. In the eyes of school kids. Like me. In the modern days, the perches have slowly started dwindling. As automated signals replace the white glove and the rolling glare ! The man himself, stands besides the signal or under the tree. Waiting for the next offender. Causing the mind to wonder if he misses the days where he was on a different plane ! Well. Nostalgic struck. The other day, a neighbours kid asked for some help. In writing out a small essay on ‘Ambition in life’. 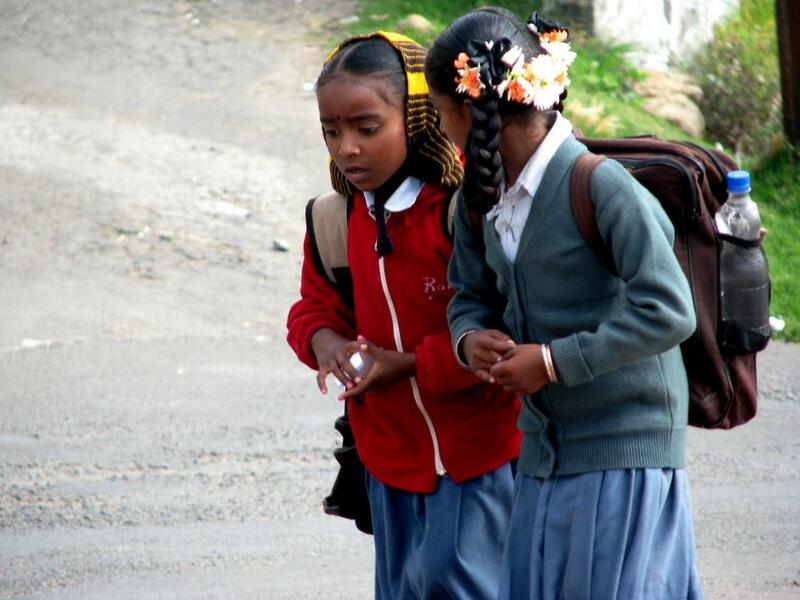 When i was her age, i told her, my ambition was to become a traffic constable. She smiled. And asked me to get serious. And in all seriousness, i told her, that that was who i wanted to become. What flew by as the explanation reached her ears were the….White gloves, gleaming buttons, metal whistle, polished shoes and power to wave anybody down. ( No. The potbelly isn’t part of this list). She didn’t get it. I guess she doesn’t quite know the perch side of this story !